Robins Brook is easy to find and you can park right outside the front door. 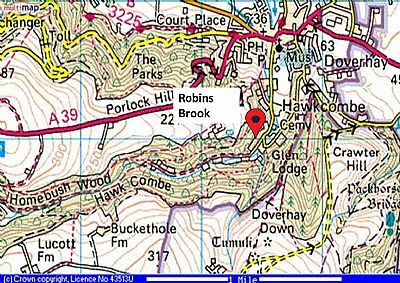 As you drive through Porlock from the Minehead direction, turn left just past the church into Parsons Street, carry on up the lane for around 2/3 mile, ignore the bend to the left and carry on towards the woodland, we are the last cottage but one before you get into the woods. The garden is located directly across the quiet lane, there's an enclosed yard area to the rear as well. The pleasant walk down into the village takes about 15 minutes.